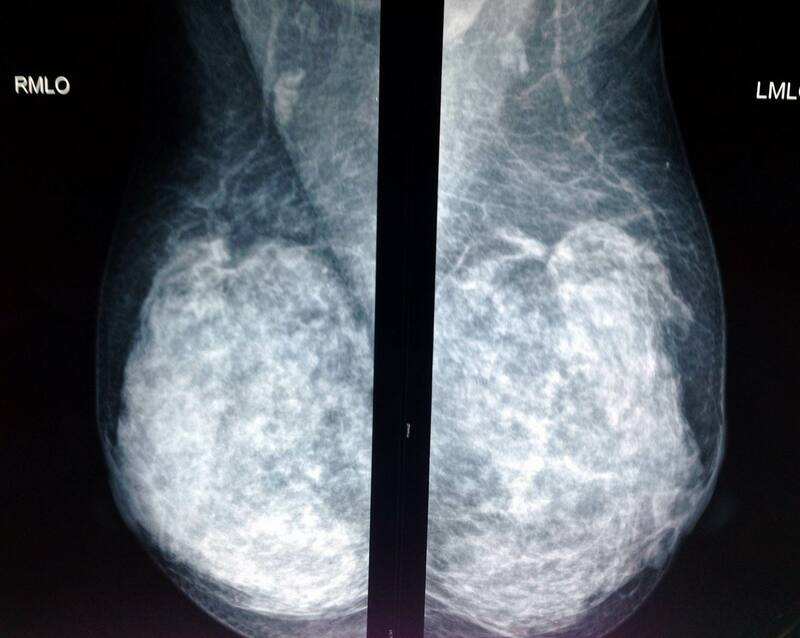 Woman 53 yo, for one month detected her breast distention both 2 sites and pain. 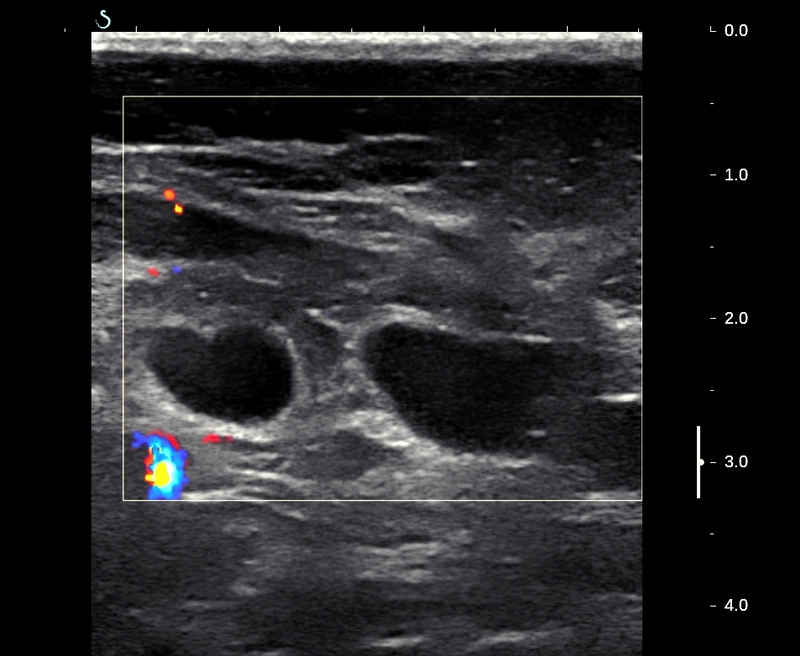 In clinical examination 2 breast are hot and hard. 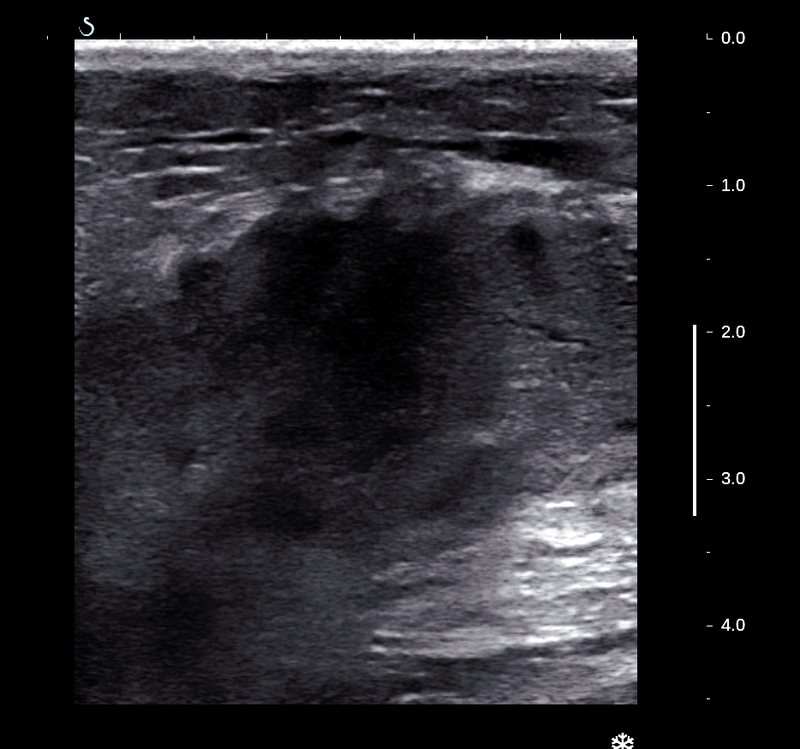 Ultrasound (US 1), right breast had some echo poor focal lesions, 2-3 cm, non compressible. 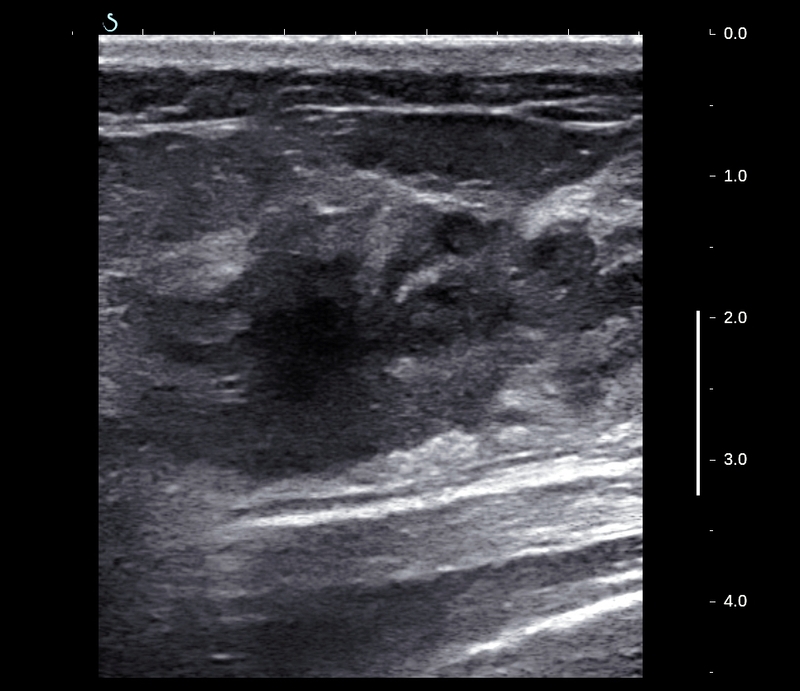 US 2: same structure at the left breast. 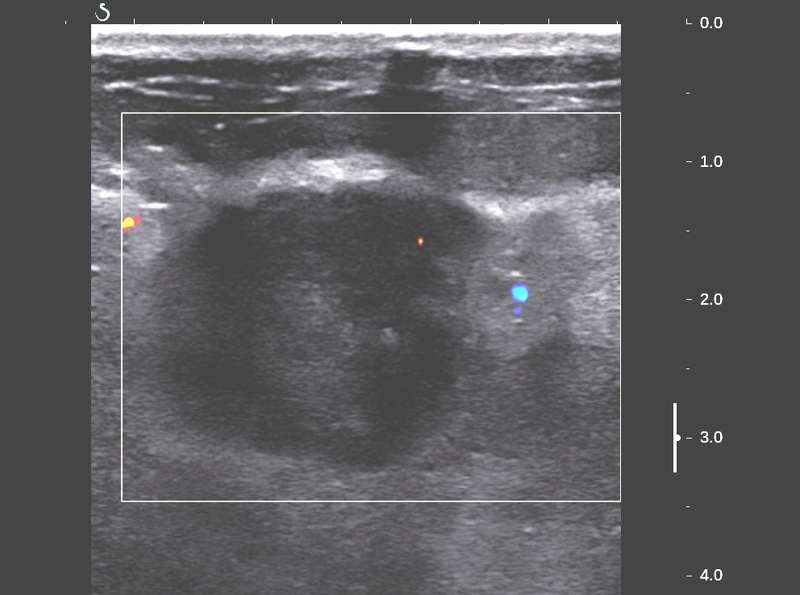 US 4: color Doppler hypovascular. 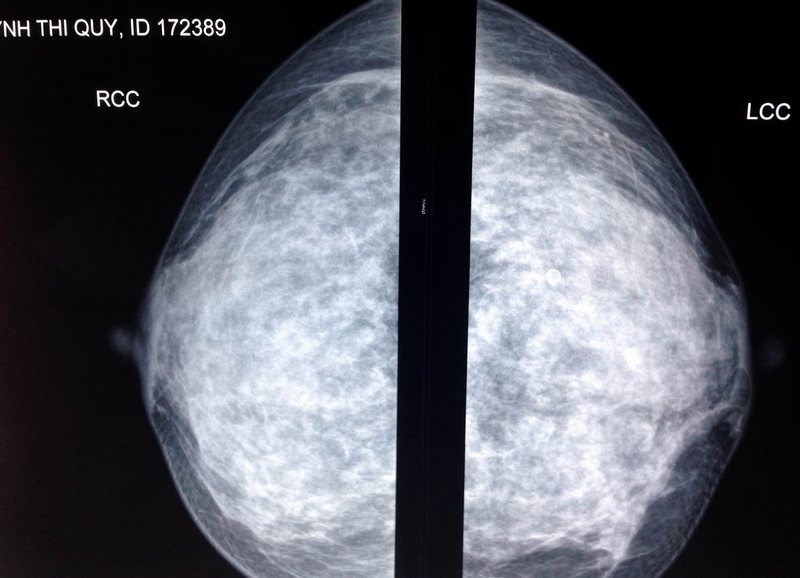 Mammo Xray = very dense breast (MM1, 2). 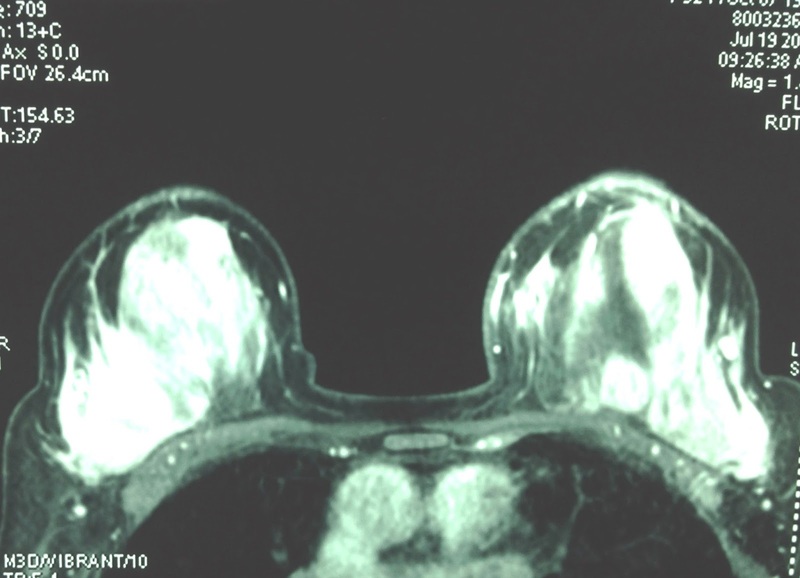 MRI with gado= breast are filling by hyperintense mass with gado enhancement. 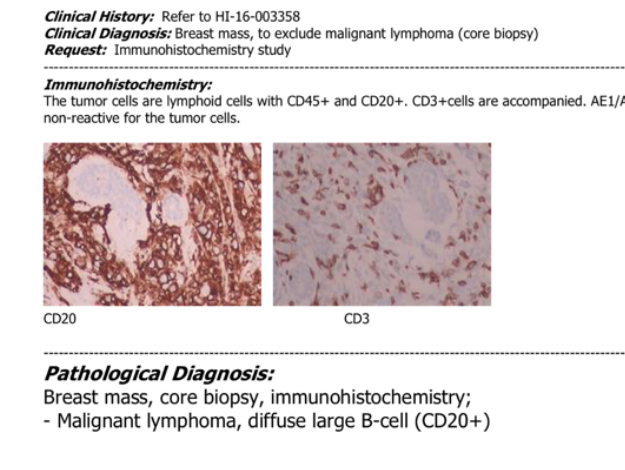 Biopsy was done by core biopsy and IHC staining report is lymphoma large B cell. 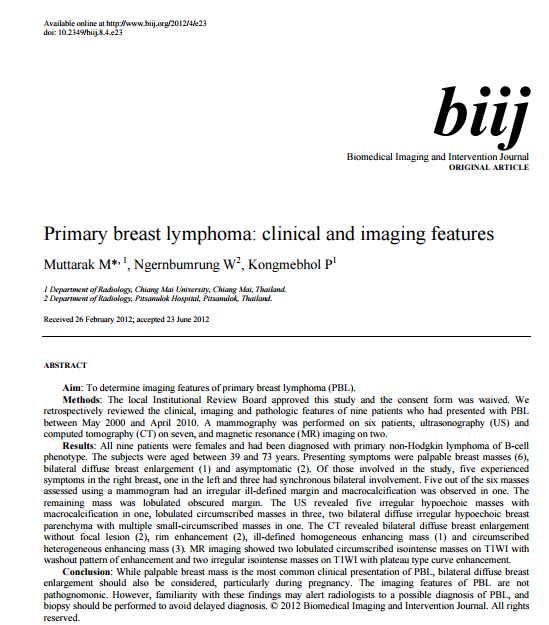 Conclusion= Lymphoma is most common appearance of 2 breast simultaneous infiltration.